Book covers for new series of ebooks. Back in the 90's, I illustrated a comic book called Vigil with author Arvin Loudermilk. The comic told the story of Grace Kimble, LAPD officer turned vampire. When Arvin decided to do a new version of the story, this time as an e-book novella series, I needed to come up with a fresh look for the cover images. 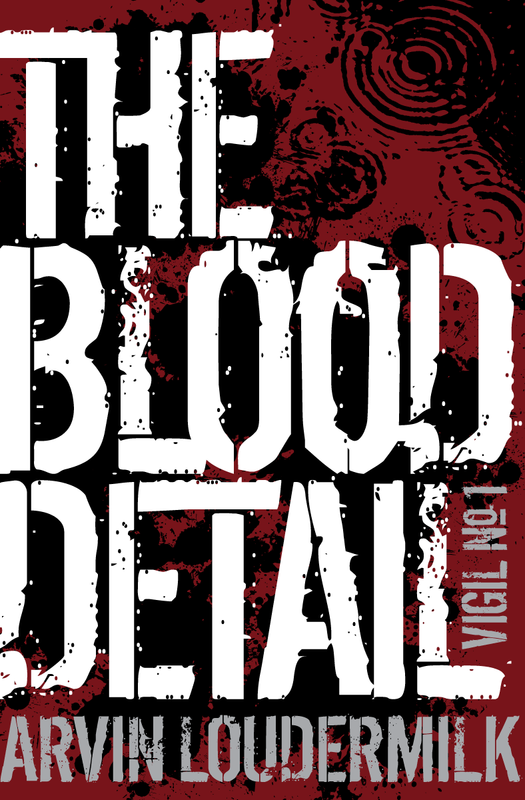 He wanted it to look like a crime novel but with a hint of the vampire elements. 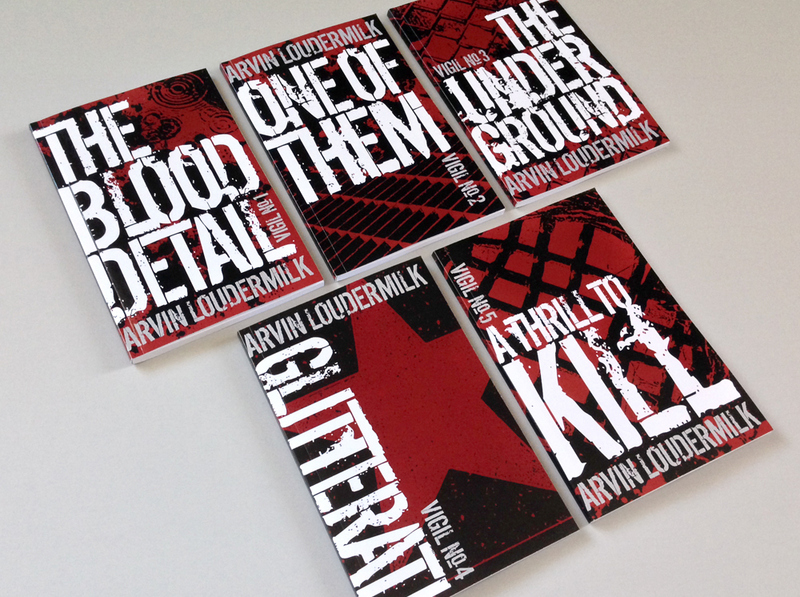 Each cover will feature the bold, distressed type treatment on the title over a blood red splatter background. A graphic illustration of some iconic element from the book will help set them apart. For more information on the forthcoming series, go to arvinloudermilk.com.